Svartsinn has long been lauded as one of the foremost names in the dark ambient genre. He is one of a number of renowned Scandinavian dark ambient musicians that have left their mark on dark ambient since the earliest parts of its second wave. Where Svartsinn differs from his fellow countrymen is in the general themes of his music. Svartsinn, more so than almost any other musician in the genre, conjures images of pure darkness like a true master. This is the sort of darkness we can expect from horror films, not in its execution, not like a horror soundtrack, but in its ability to invoke a pure crushing sense of darkness. The darkness of shadows, dark sorcery and the depths of a demented murderer’s mind. Svartsinn first caught the attention of the dark ambient world in 2000 with his debut, Devouring Consciousness on Eibon Records. Following this release, he was part of the seminal release Nord Ambient Alliance. Along with his fellow Scandinavian dark ambient artists Northaunt and Kammarheit, Svartsinn would go on to become one of the most recognizable acts on the Cyclic Law label, a label to which he still calls home to this day. Yet in this time, we have only seen four previous full-length releases, Mørkets Variabler being the fifth. While many artists become prolific in their release of new material, Svartsinn broods over his releases for years on end. He makes sure to create something that will easily stand the test of time, each becoming an integral element of his discography. Though his last proper full-length release was way back in 2009, its opener track “Vemod” can still be seen as a perfect example of how truly dark, dark ambient can sound. As mentioned previously, “Vemod” has arguably become the most familiar and favored track of Svartsinn‘s career. One of the main changes in his style of sound can be perfectly reflected in the rendition of this track on Mørkets Variabler. The closer of Mørkets Variabler, “Vemod (Cello Mix)”, showcases the talents of Svartsinn‘s recent partner in darkness. Amund Ulvestad has been traveling with Svartsinn for the last few years. They have conducted Svartsinn live performances as a duo, with Jan Roger Pettersen as the dark ambient maestro and Amund Ulvestad applying his cello work atop the soundscapes. Amund Ulvestad has now been brought into the studio alongside Pettersen to contribute his cello talents to a great portion of Mørkets Variabler. Though we know he is on a portion of the album, the specific tracks are not named, so we can keep our ears and minds open to those subtle cello sounds, permeating much of the release. Speaking of subtleties, Svartsinn, in my mind, has always been one of the more subtle of dark ambient artists in his execution of soundscapes. Much of his catalog of songs is steeped in eerie sounds which linger in the background, building up a nuanced but potent atmosphere. Mørkets Variabler deviates a good bit from this template. Much, if not all, of this album is bold and thick with atmospherics. The most direct example of this is in the use of vocal samples through a portion of the album. There are Gregorian chants, which fit perfectly into the background of “Doubt As Sin (Nietzsce’s Lament)”. The same track closes with haunting female whispers. I will leave it to the listeners to discover her exact words. “Echoes of Silent Cries (Among The Sea Of Trees)”, possibly the darkest and most unsettling track on the album, features samples of the screams and cries of some tortured souls, as if the track had captured field recordings straight from the fiery depths of hell. In general, the entire album seems to be awash with numerous thick layers of sound, building each track into a monumental amalgamation of horrifying soundscapes. 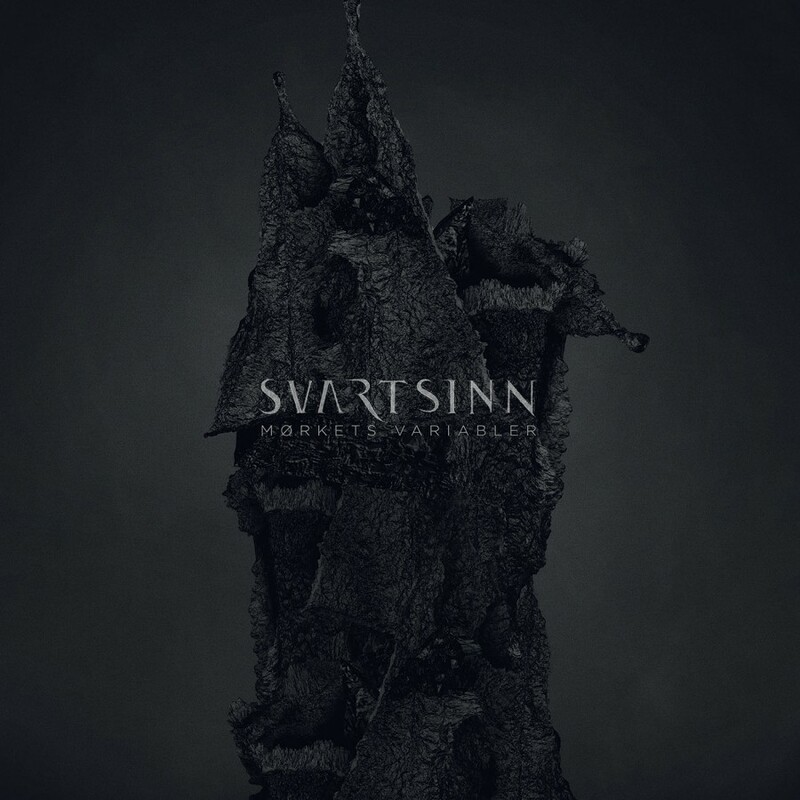 Svartsinn isn’t known to focus on any one sense of darkness or thematics throughout an album, instead his music touches on various elements of darkness in any one of its incarnations from track to track. In this habit Mørkets Variabler does not differ. Some tracks seem to take on a personal tone, while others like “In The Wake Of Azathoth (A Lovecraftian Epilogue)” or “Doubt As Sin (Nietzsce’s Lament)” focus on literary or philosophical themes. While, for some, this could be seen as a downside, it is what Svartsinn has always done, and he has found praise and recognition throughout his career because of, not in spite of, this point. Svartsinn attracts the listener with many and varied mini-stories and themes throughout his albums, taking listeners throughout a tour of deviant, lamented and horrific domains. There is no question that Frederic Arbour, owner of Cyclic Law, sees Svartsinn as one of his most prized artists on the label to this day. One need only look at the regal manner in which this release has been conducted. The cover art benefits greatly from the brilliant dark arts of Dehn Sora, who has contributed one of his most potent images to date. This artwork is given a greater chance to be appreciated through the 2LP version of the album. 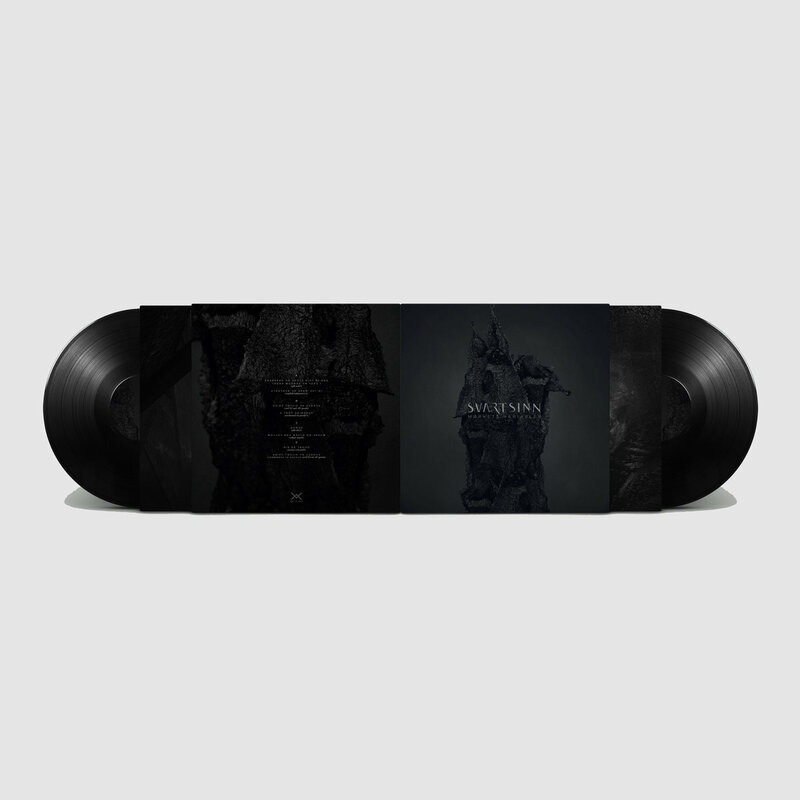 The vinyl edition also is of note because it houses an exclusive extra track, a remix of “Echoes Of Silent Cries” by Kammarheit. This brings the total running time of the vinyl edition to 72 minutes of pure darkness. 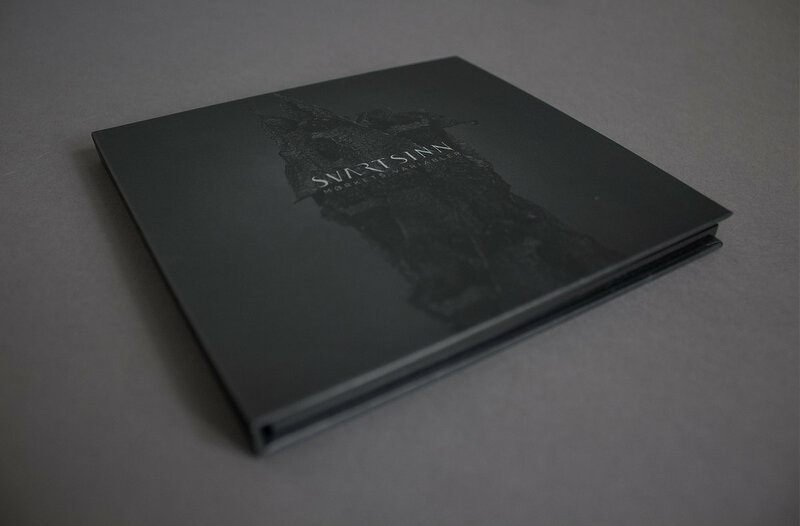 For the CD, we are offered a well-crafted 4 panel hardcover digibook which includes a 16 page inner-booklet. The release is further accompanied by a new t-shirt donning the Svartsinn white bird logo. Mørkets Variabler is an absolute success and well worth the long wait since the last proper full-length release. Svartsinn proves that he is still at the very top of his game on this one. Each will have their own opinions, but to me this is the apex of his work. The further addition of Amund Ulvestad’s cello and the bolder format of the majority of the album give Mørkets Variabler a character of its own, allowing it to distinctly stand out from the rest of the Svartsinn discography. If you are looking for pure and utter darkness, one need look no further than Mørkets Variabler. This is darkness in its purest form. I’m not a big big fan of dark ambient music but I listen to some projects. Svartsinn is very interesting and I would like to know whether there are any other bands or musicians that make similar music, and I mean really similar. Not techno dark ambient, not piano dark ambient, not symphony dark ambient. I don’t know how to describe Svartsinn’s music, only that it makes me feel I’m travelling underground, with a torch in one one, exploring wet caverns. Well, with that description you gave, Kammarheit sounds like a perfect answer. Of course, he’s been around as long as Svartsinn though. Others I would recommend in this vein could be Kave, Apocryphos, Shrine and certainly many more! Recently I heard Kammarheit and you are right, it’s the closest to Svartsinn. I will listen to the others you mention, so thank you very much.